July 10, 2013 July 10, 2013 Categories UncategorizedFarmer's Market bags, garden, garden photography, garden tips, garden tools, gardening, linen garden bags, rural practicality16 Comments on Farmers Market–Please No Plastic! I needed reusable, washable bags to carry to the Farmers Market. 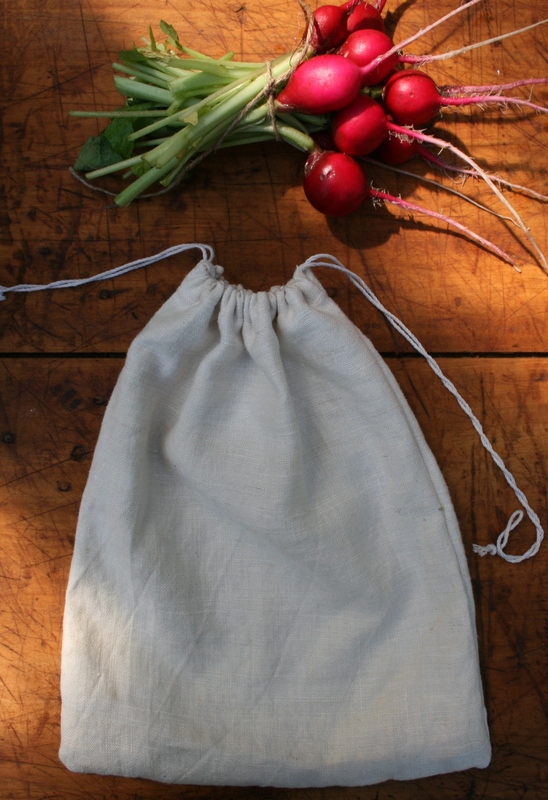 Something to tuck vegetables or a loaf of homemade bread into. 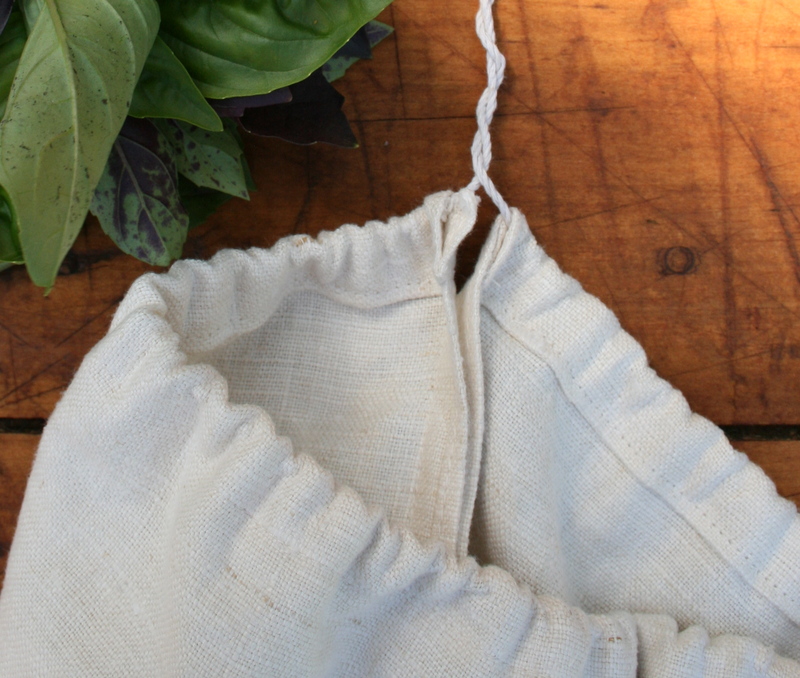 This small linen towel folded in half and stitched on both sides, makes the perfect bag. I threaded a cotton string through the all ready existing casing, now at the top of the bag. Your new little bag can be tossed into the washing machine. Good for the environment and so much cuter to carry! You can use vintage towels for this project, or purchase new towels to stitch up these bags. Another great idea. And I agree about those plastic bags. I’m doing much better this Summer about taking my canvas bags! This is a great idea for all the extra tea towels! Th is was perfect timing, last week I came home with 3 plastic bags because I didn’t catch until later that my purchases weren’t being put in my reusable shopping bag loosely. I’m going to stitch up a few of these for next week’s shopping. What an excellent idea! I love this. I think it would be fun to find some really cute towel to stitch up for gifts, too! I have a few more little linens lined up for this project! When we went to San Francisco a couple of years ago, we went to some Farmer’s Markets–I loved seeing all the different bags people carried!, and oh my—the best produce!!! 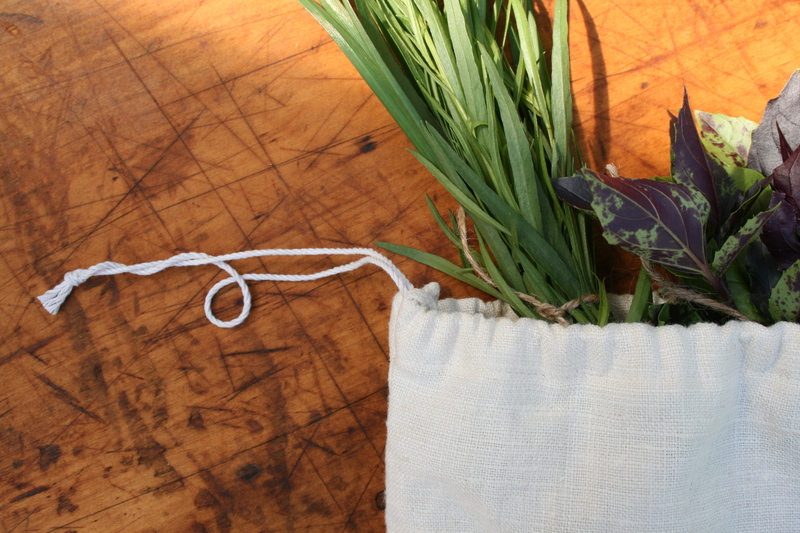 This is a wonderful alternative to plastic bags! Just this week I came across a bag made from two Swedish dishtowels with a radish and carrot design. I couldn’t pass it up. Hi Kate, Love the little bag you stitched up–I would not be able to resist those towels either! How perfect for your vegies at the Farmer’s Market!